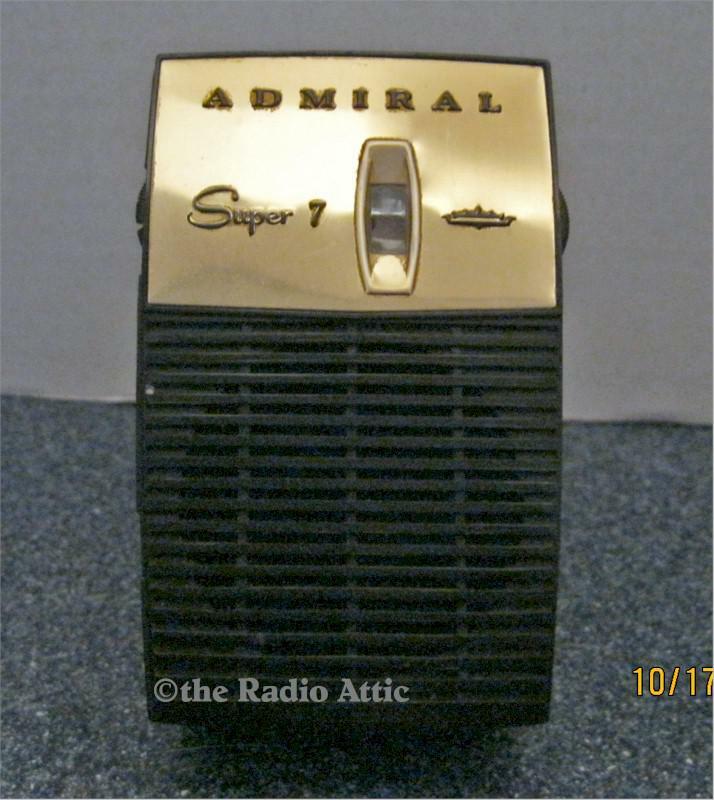 Vintage 1960 Admiral Y2061 Super 7 AM transistor pocket radio. Chassis no. 7A2. Restored with new electrolytic capacitors, tuned circuits, and replaced battery clip with new heavy duty standard 9 Volt battery clip (9 Volt battery not included). Very clean nice radio. No dents, chips, or cracks. Minimal scratches. The audio is clear, and goes to full volume. Shipping: $8 Domestic only. You are visitor number 412 to this page.